Educational consultant Thomas Dykes has kindly offered his popular educational materials on teaching the First and Second World War to be made available on the Teachers' Network. Each section contains short units of study with research questions for students new to the study of the two World Wars. Originally intended for use in Ontario high schools, these educational materials cover a wide range of topics and events, and are appropriate for middle and high school learners. 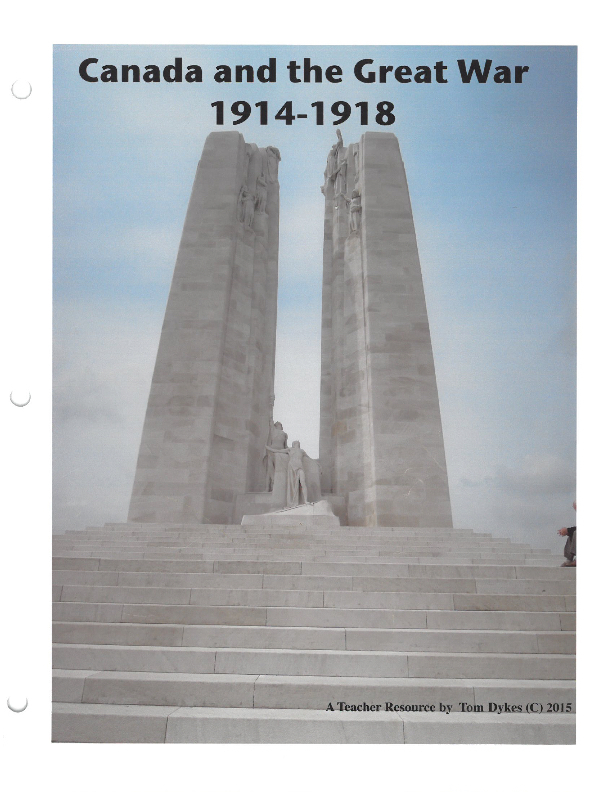 The first Canada and the Great War file contains an ABC of Canada in World War 1, a collection of 26 short units that introduce students to the First World War in an interdisciplinary way, as well as a poetry analysis section, and the directions for the Just-A-Minute game, which focuses on speaking and listening skills as well as content recall. The second file contains the game cards for Just-A-Minute. The first Canada and World War II file contains the educational materials rationale and some examples of students' experiences using the materials. The second file contains a collection of 26 short units that introduce students to some events and issues of World War II. The third file contains a Lyrics and Lessons section which engages students in a poetry analysis, a Voices of War section which provides some soldiers' stories, and the directions for the Just-A-Minute game, which focuses on speaking and listening skills as well as content recall. 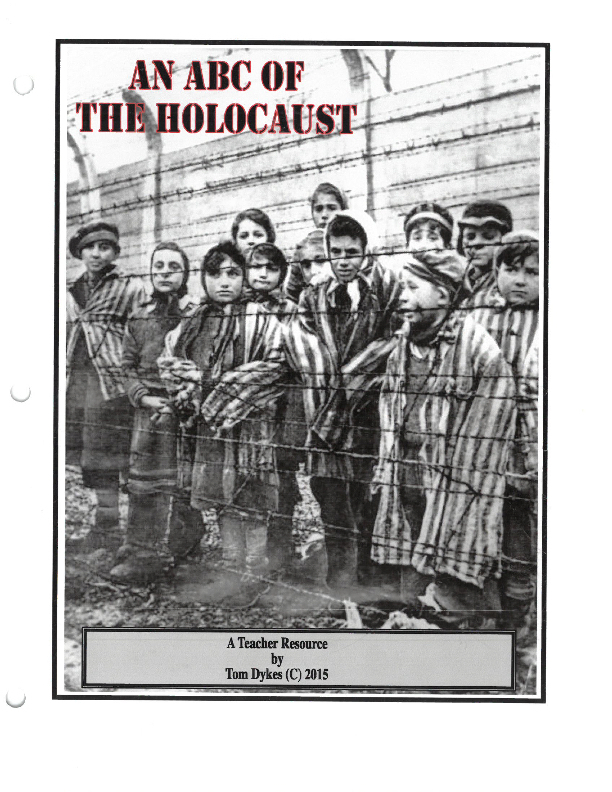 The Holocaust file contains a collection of 26 short units, the Holocaust A-Z, that introduce students to the Holocaust., the poem "Dialogue" by Dennis Urstein, and the directions for the Just-A-Minute game, which focuses on speaking and listening skills as well as content recall. 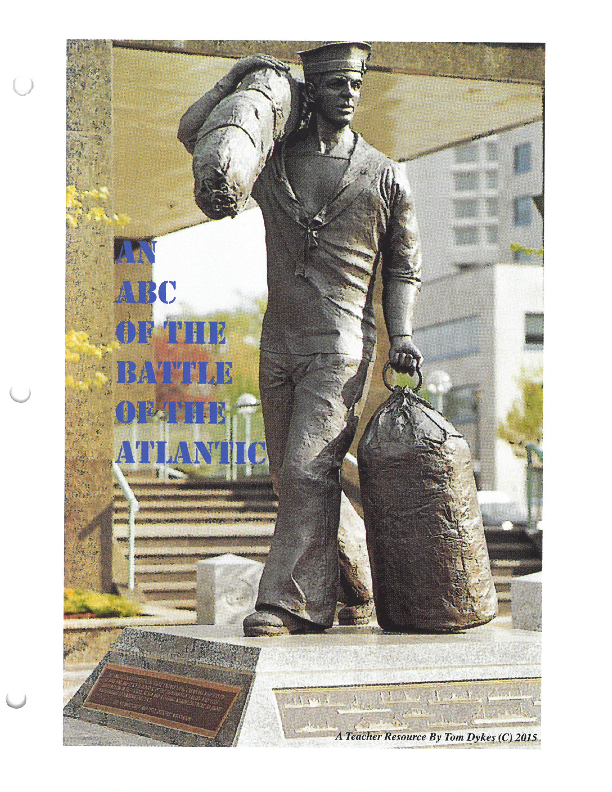 The first Battle of the Atlantic file contains an ABC of the Battle of the Atlantic, a collection of 26 short units that introduce students to the battle and the role played by the Royal Canadian Navy. The second file contains a Lyrics and Lessons section which engages students in a poetry analysis, and the directions for the Just-A-Minute game, which focuses on speaking and listening skills as well as content recall. The D-Day file contains an ABC of D-Day, a collection of 26 short units that introduce students to the landings and the invasion of Normandy, a poetry section, excerpts from a naval officer's D-Day diary, and the directions for the Just-A-Minute game, which focuses on speaking and listening skills as well as content recall.